TOMS is a for-profit company with a trademark One for One® giving model. For every product sold, TOMS helps a person in need. At the start of our partnership, TOMS sold only shoes. Today, it also sells sunglasses, bags and apparel. 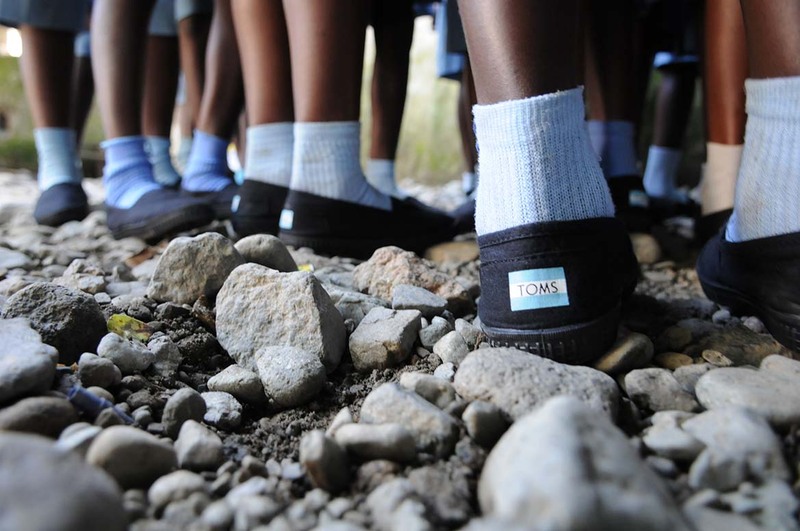 TOMS currently helps give shoes, restore sight, provide safe water and support safe birth for people in need and helps stop bullying through prevention and response services.To date, IMA and TOMS have distributed hundreds of thousands of pairs of new shoes to children in Haiti. Going forward, IMA hopes to continue this productive partnership and is seeking ways to reach more vulnerable and out-of-school children.